I started reading the Tales of the City series while I was in college. The PBS miniseries that was based on these books had piqued my interest with its ensemble cast (Laura Linney, Billy Campbell, Olympia Dukakis) and alternative soap opera sensibilities (Quirky plot twists! LGBT love triangles!). Naturally, being the bookworm I am, I had to read them first. Once I picked up Armistead Maupin's first installment, I couldn't wait to move on to the next. His Dickensian approach to life in San Francisco was enchanting and introduced me to a world in which I would have loved to live. 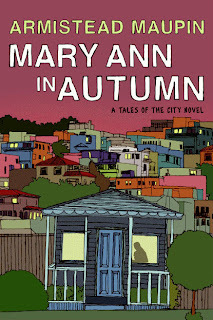 And now, I'm finally getting around to reading the eighth book in the series, Maryann in Autumn, which chronicles a trio of characters from the original trilogy (Michael Tolliver, Anna Madrigal, and our titular heroine) as well as a handful of newbies. Whereas the first six books celebrated the ups and downs of 70s and 80s lifestyles, subtly commenting on the societal issues at hand without being trite, this one jumps ahead to 2010 and finds our ladies and gentlemen settling into their golden years, adjusting to a new digital culture (shout outs to Facebook! ), and questioning the legacies they'll eventually leave behind. 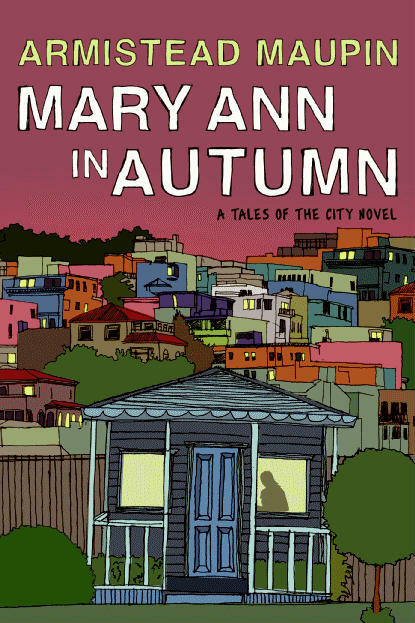 With equal page time dedicated to characters like Jake, Jonah, and Shawna (Maryann's bisexual blogger daughter), it seems like Maupin is prepping readers for the next generation while continuing to carefully observe the lives of some of fiction's most beloved figures. Utterly readable. Completely cozy. Undeniably lovable.